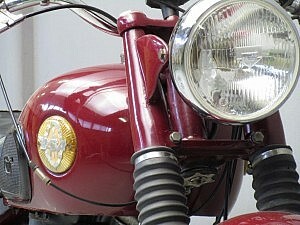 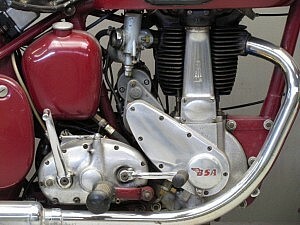 BSA motorcycles were produced by the Birmingham Small Arms Company. 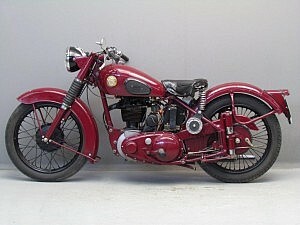 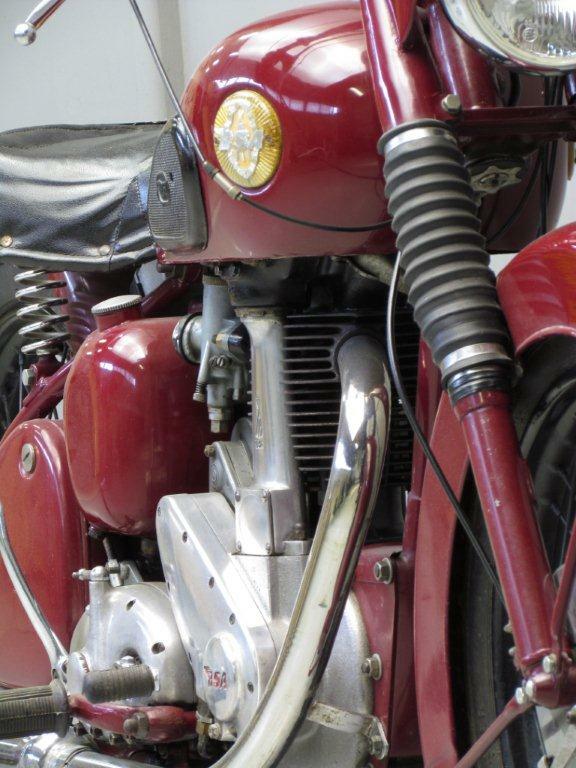 The BSA B31, introduced in 1945, was the first new model introduced by the company after the Second World War. 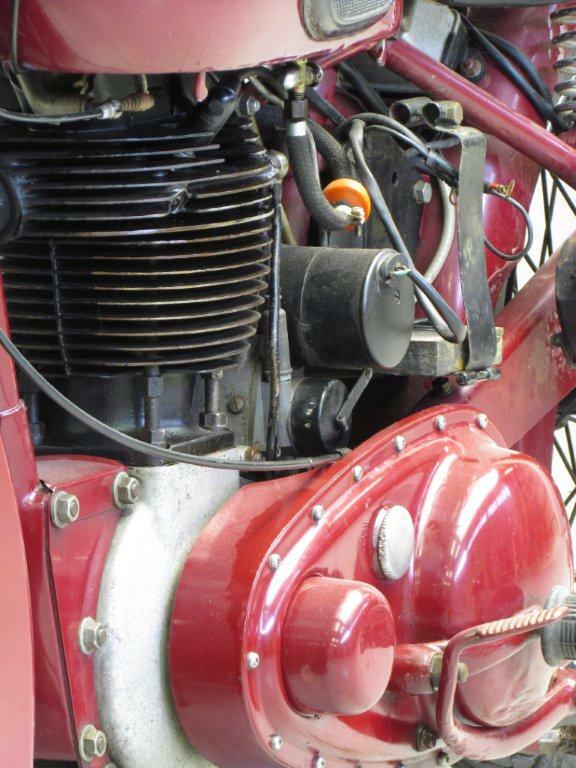 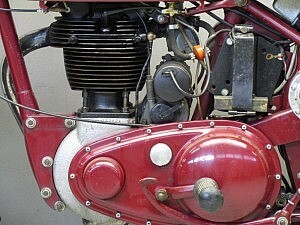 Based on pre-war designs, it uses a single cylinder, overhead valve, four stroke engine that displaces 348 cc (21.2 cu in). Initially, it had a rigid frame and telescopic forks instead of the girder forks used in the pré-war models. 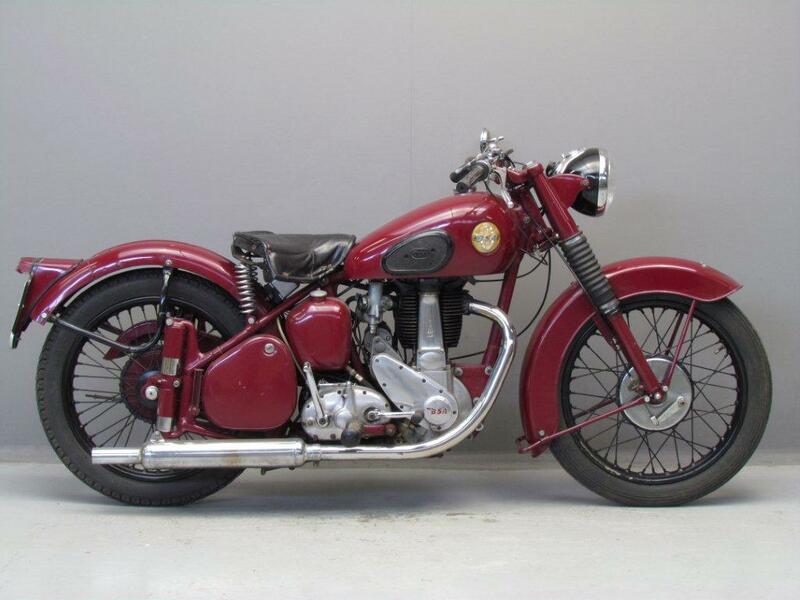 First offered with a rigid frame, the sprightly single gained the option of a plunger rear frame in 1949. 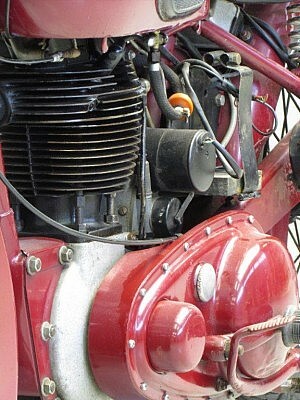 It develops about 17 bhp (13 kW), adequate enough to deliver a top speed of around 70 mph (110 km/h). 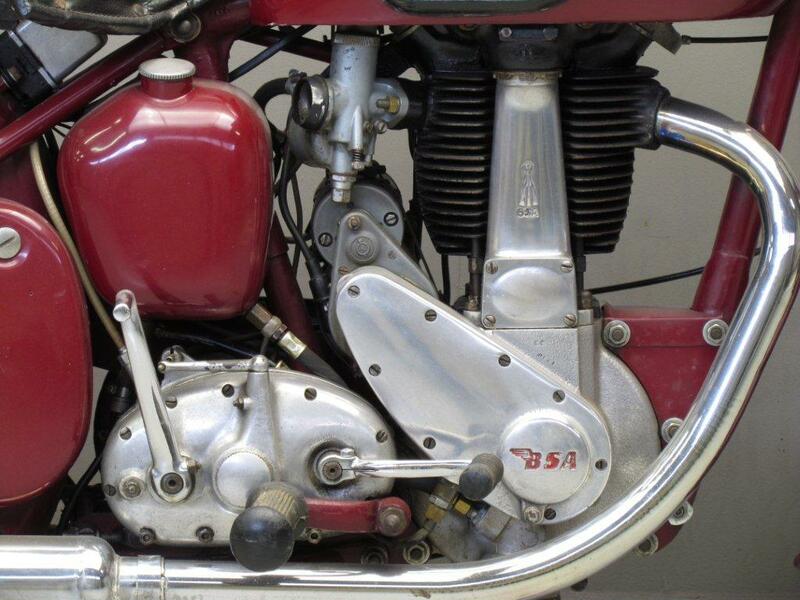 This 1954 plunger frame BSA B31 is an older restoration.